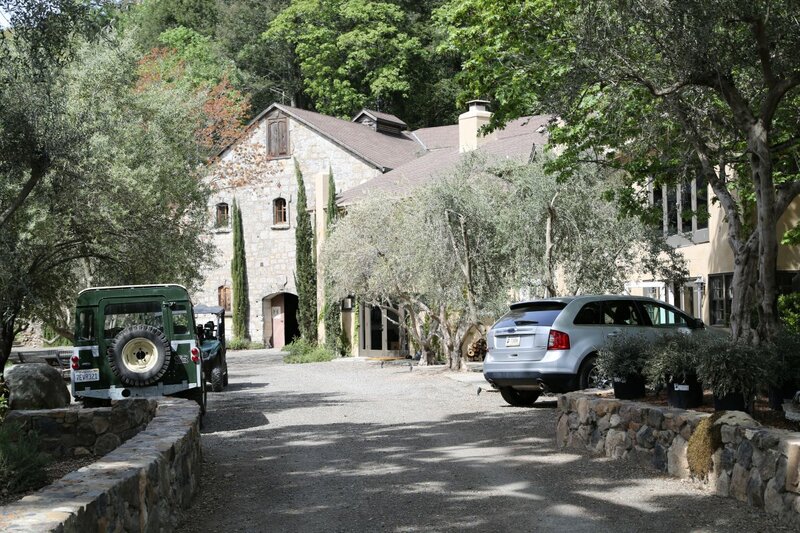 Mayacamas Winery is a historic winery located high in the Mayacamas mountains west of the actual Napa Valley near Mt. Veeder. The winery sits on the edge of a crater on a extinct volcano. Approximately 50 acres of vineyards are on the 500 acre property which ranges in elevation from 1,800 to 2,400 feet – the uppermost part of their vineyards are among the highest in all of Napa County. Some of the vineyards are quite old – their Chardonnay terraces date from the early 1950’s and the Cabernet Sauvignon Vineyards that surround the winery were planted in the early 1960’s. All mature vineyards on the property are dry farmed – helped in part by the fact this part of Napa often receives twice the average rainfall of the valley floor. A visit here is by appointment – during the week (closed weekends) and is for small groups only. 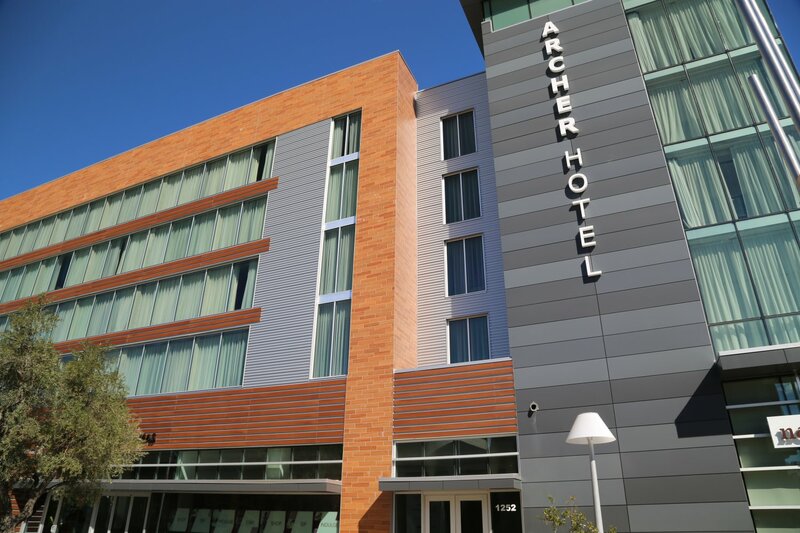 Guests will see why this is when you visit. 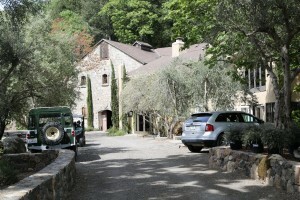 The winery is located at least 35 minutes from the valley floor on some of the most windy narrow roads in the Napa area. The final push into this historic winery is on a gravel then dirt road which ends at several tight parking spots. The winery itself dates from 1889, it was built by a German immigrant and has had several owners during its long history. It became dormant during prohibition although there is some evidence of bootlegging in the stone cellar during this time! 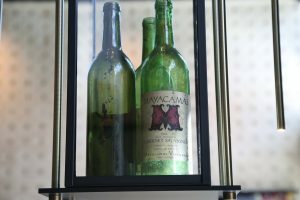 In 1941, Jack and Mary Taylor bought the property, set about restoring the winery – and gave it its name, Mayacamas Vineyards. A friend of our family with his friends from Stanford University were seriously considering purchasing this property in the late 1960’s when it was for sale. 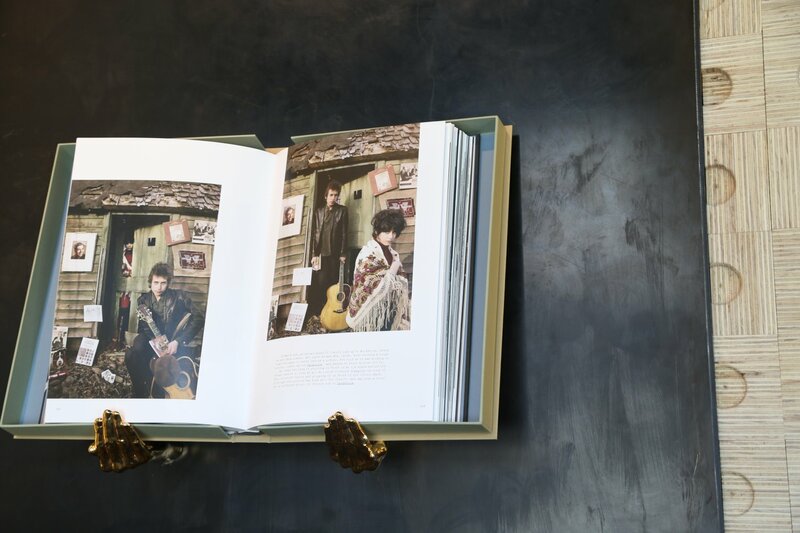 However, that was not to be – long time vintner Bob Travers and his wife Elinor, purchased the winery in 1968 (we originally met with Bob) – he started working in the Napa wine industry in his 20’s after leaving a job in San Francisco. 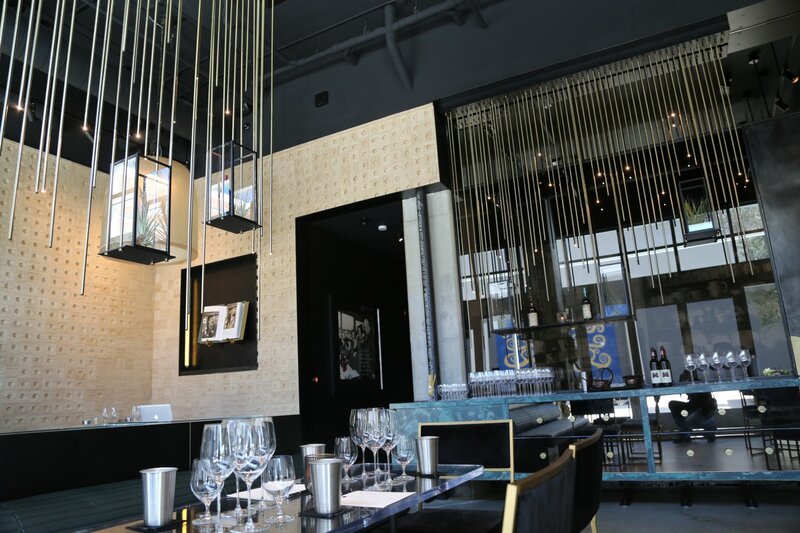 Much of his initial knowledge came from working with the legendary Joe Heitz of Heitz Cellars. 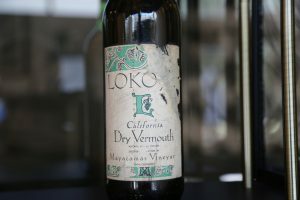 Any Napa winery in operation today which dates from the 1960’s, is still privately owned – puts that winery into a very select list of the “oldest continuously operating Napa Wineries”. In 2013 Travers sold the winery to new owners: Charles and Ali Banks, (former owners of Screaming Eagle) along with Jay Schottenstein and his son Joey. 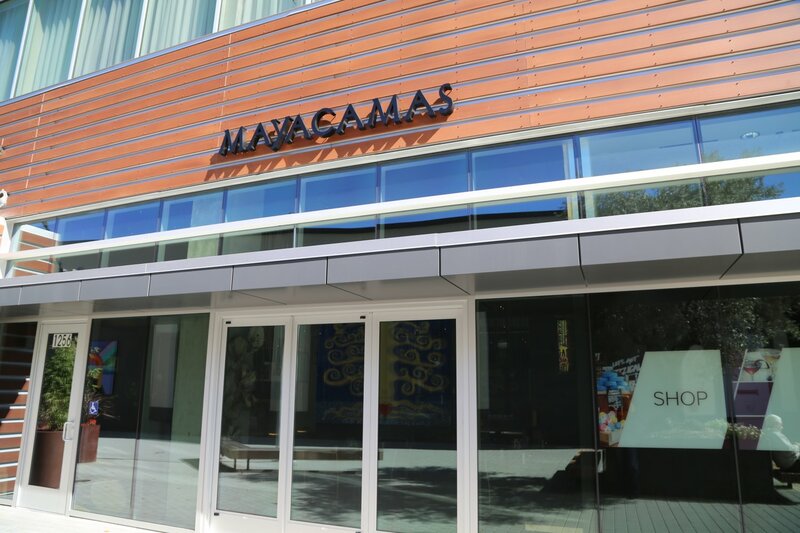 Charles Banks is no longer involved with Mayacamas Winery. The Schottenstein’s are only the 4th owners in this history of Mayacamas. 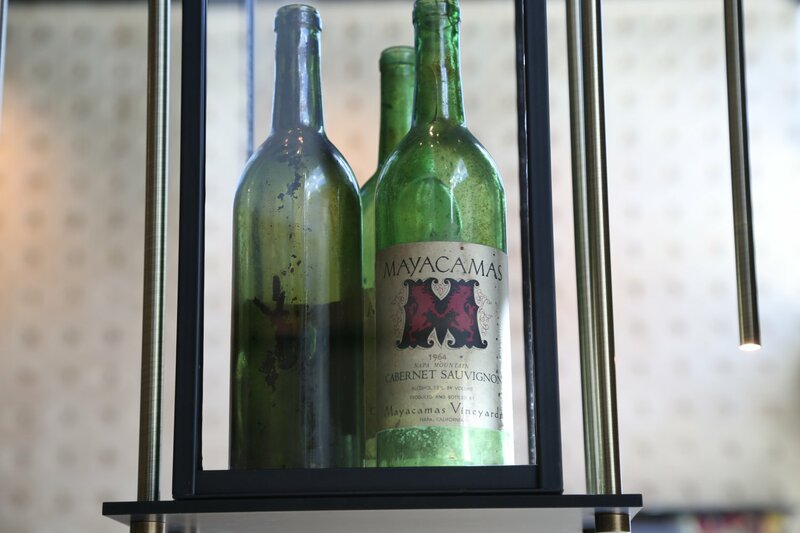 Mayacamas is even an intricate part of more recent history – their 1971 Cabernet Sauvignon was part of Steven Spurrier’s now famous Paris Tasting of 1976 which helped push the quality of Napa’s wines to the International wine scene. 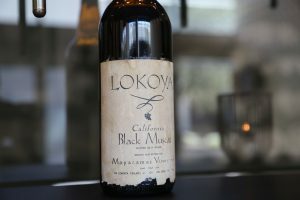 There are many factors which differentiate this winery from other Napa area wineries. 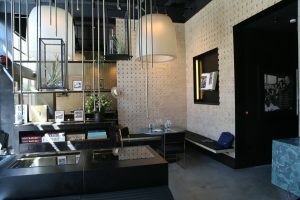 Its unique location and history certainly are highlights. 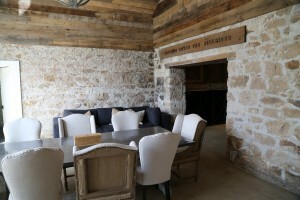 Tours touch upon additional intricacies both with ownership over the decades as well information about the vineyards. Our first visit was during harvest and we were able to see the winery equipment in action. This a gravity flow winery – the grapes are de-stemmed and then the juice flows down to neutral concrete wood covered fermentation tanks. Out of nearly 1,000 Napa wineries and producers visited with to date, these are the only such types of fermentation tanks we have seen. These fermentation tanks in no way take away from the varietal characteristics of the wine – and that is exactly what the winemakers are trying to achieve during fermentation. The juice is eventually put into large wooden casks, one of which was here when the winery was purchased in 1968 and is over 60 years old. 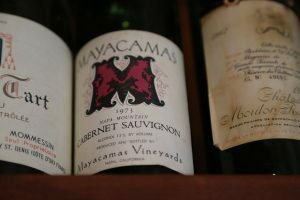 Mayacamas is not big on oak in their wines as their philosophy is let the wine speak for itself, so you will see mostly older oak barrels in their lower cellar room. Also check out their own bottling line – its the oldest bottling line we’ve seen at any Napa winery – this one dates from the 1940’s (perhaps since replaced since the new ownership?). The majority of their fruit comes from on the property with a focus on Chardonnay and Cabernet Sauvignon although they do make a delicious Pinot Noir and Sauvignon Blanc. And for their reds, Mayacamas typically holds the wines back about 5 years from vintage date before release. 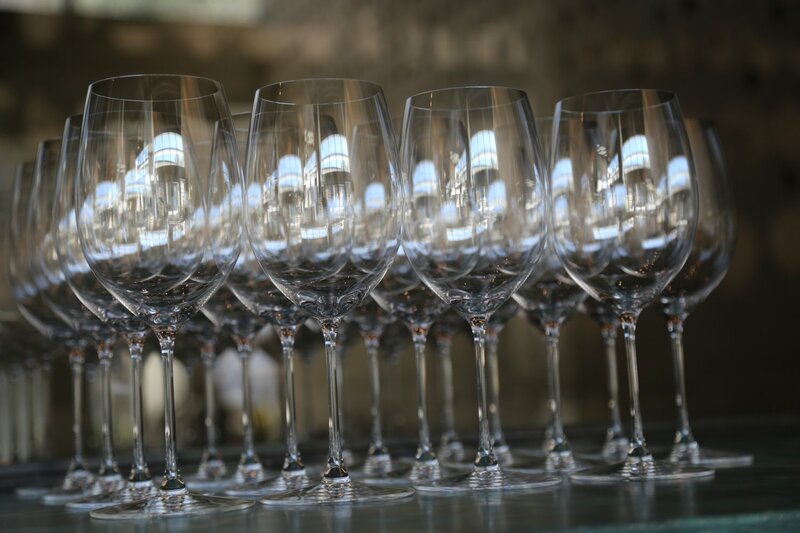 Over the years we have tried several vintages of Chardonnay, none of which go through secondary fermentation. The 2016 Mayacamas Chardonnay was fermented in both neutral oak and stainless steel tanks and spent 9 months in bottle before release. 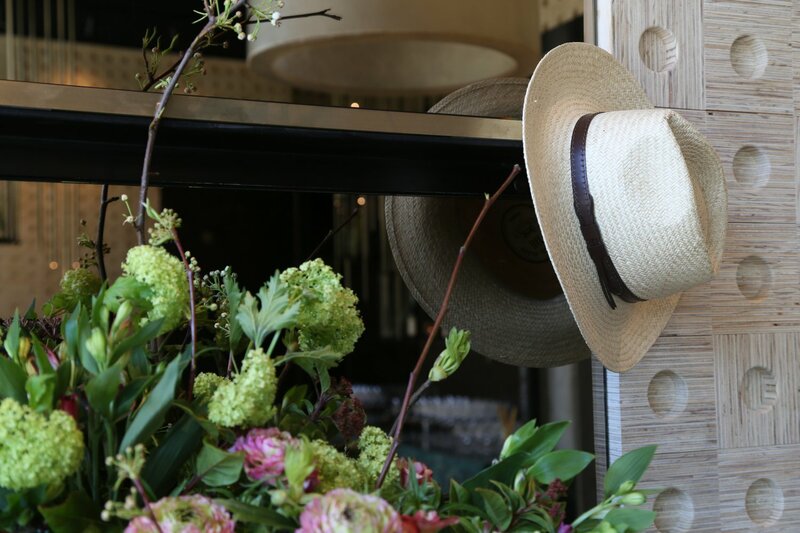 Lively throughout from the bouquet to the palate – shows aromas of lemon and lime, grapefruit and honeysuckle. 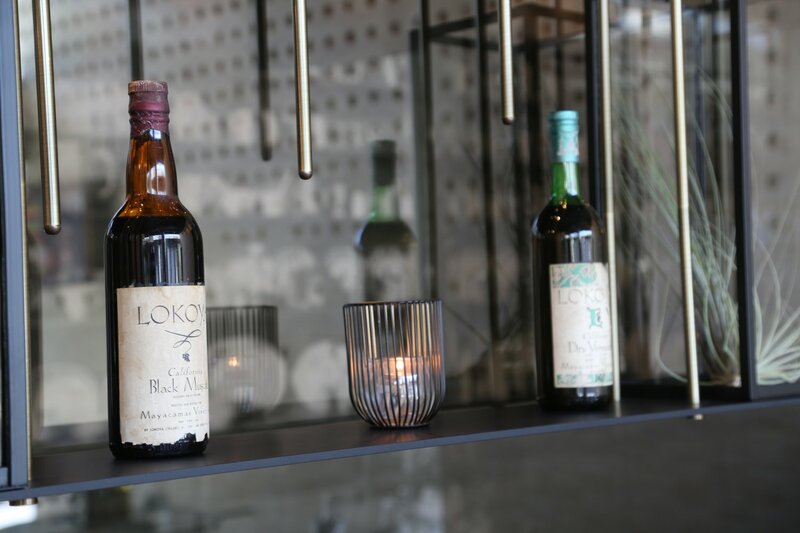 Crisp and refreshing the wine’s lively acidity dances across the palate. Very flavorful with some minerality notes. 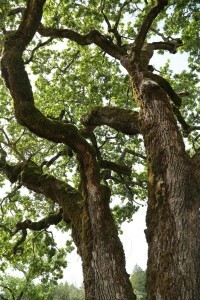 Has a slight softness of texture but is not creamy, buttery, oily or oaky. When it comes to enjoying with food, this is a refreshing example of a non ‘cocktail’ style of how Chardonnay should be made. The 2014 Mayacamas Merlot (100% varietal) offers an elegant bouquet, somewhat floral with plenty of red fruit aromas including plum and currant and as the wine breathes further, a pretty nuance of mocha comes forward. Bright and lively across the palate, shows more red fruit tones then darker fruit. Finishes with a red fruit tartness – plum, currant and cranberry with a pleasing texture. Slightly dry tannins but are more soft in nature rather then coarse. Suspect this is a wine that needs time to open, especially in its youth. Very food friendly. 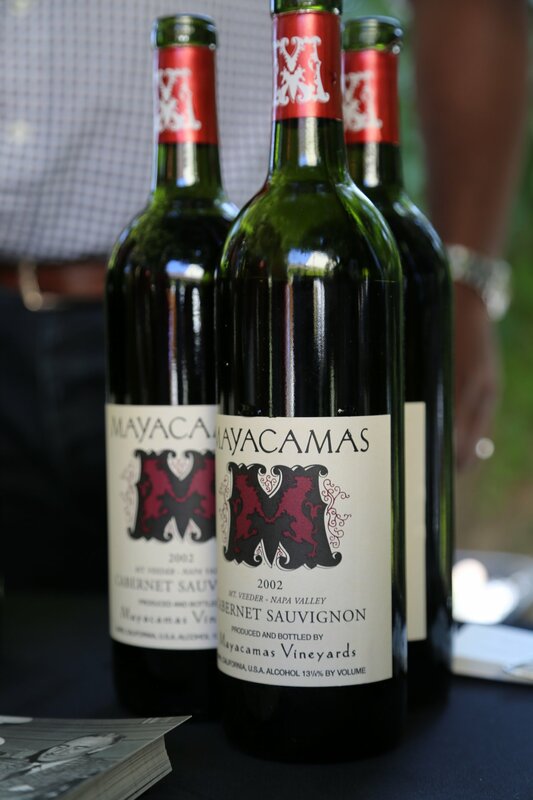 The 2014 Mayacamas Cabernet Sauvignon shows notes of dry dust along with both red and darker fruits including raspberry and blackberry aromas on the bouquet. There is a noticeable freshness and brightness of fruit on the bouquet. Big but very well balanced with plenty of depth on the palate – offers mouth watering acidity. The tannins are certainly noticeable, but are not overly gripping and in their youth, are still a bit tight. This wine has all the Veeder and Mayacamas hallmarks of being able to age for a long time. It is rare to find a Napa producer in which their white wine comes in at a higher alcohol then all their reds (during a recent tasting all their red wines showed in the low to mid 13 % alcohol). 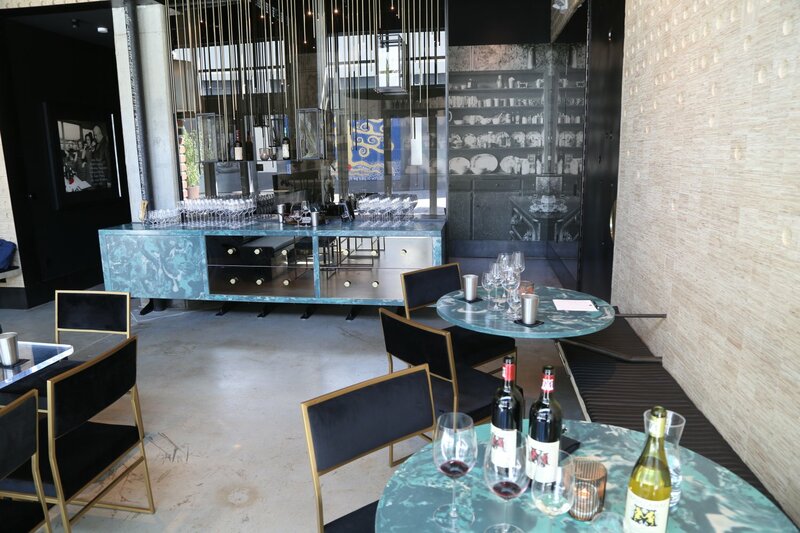 Over the years, all their wines we have tried have been balanced and food friendly with great acidity. Mayacamas releases library wines each year – some up to 15+ years old. The 2001 Mayacamas Chardonnay has aged remarkably well with very rich concentrated fruit and nice mineralities representative of their unique terroir. 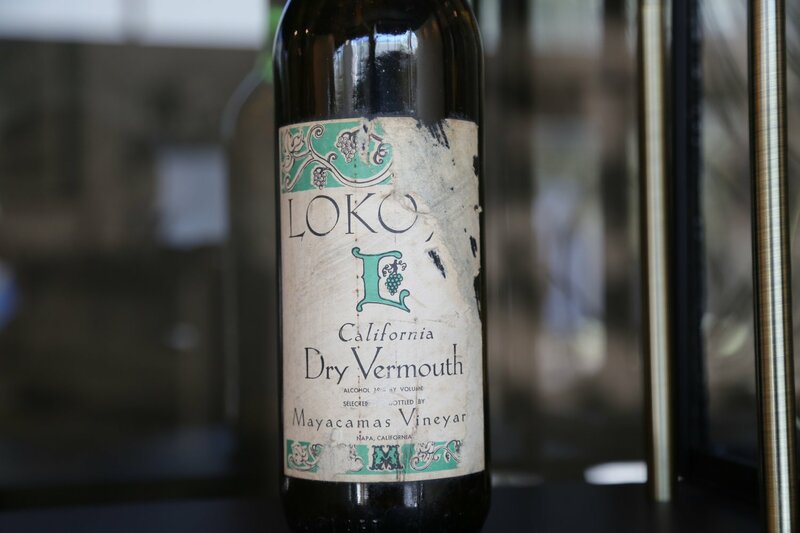 Speaking of which – the nutrient poor soils, 50+ year old vines – combined with cool breezes produces a wine of exceptional quality combined with the perfect acidity for aging. In addition the yields are extremely low – often around 1 ton per acre. These are not your normal quick to release – quick to drink California Chardonnays. Mayacamas recommends drinking their Chardonnays typically between 5 and 8 years when they reach their peak maturity and complexity. So the point of this is budget for at least two bottles of each wine; one for drinking now and one for aging. You may have heard of the movie called “A Walk in the Clouds” – this was partially filmed on site. Due to the history of the property, winery tour, vineyards, and of course the premiums wines, a visit here is among one of the more unique Napa and “out of the way” winery visits. Allow at least 35 minutes to reach the winery from Highway 29 in the Napa Valley or Highway 12 from the other side in the Sonoma Valley. 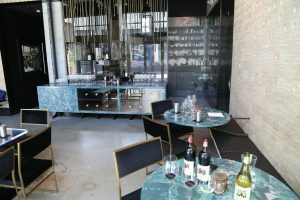 The tasting room at Mayacamas Winery burned down in the terrible fires of October 2017 and the winery has plans to rebuild this. 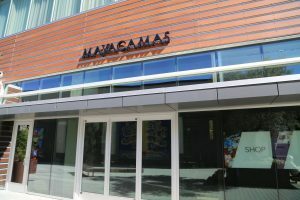 However, in February 2019, Maycamas opened a tasting room in the same building as the Archer Hotel in downtown Napa. 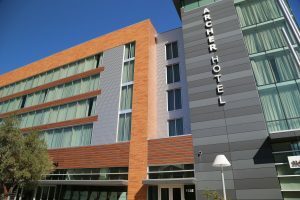 The tasting room does not connect to the hotel, guests enter on the side of the building passing through a courtyard. 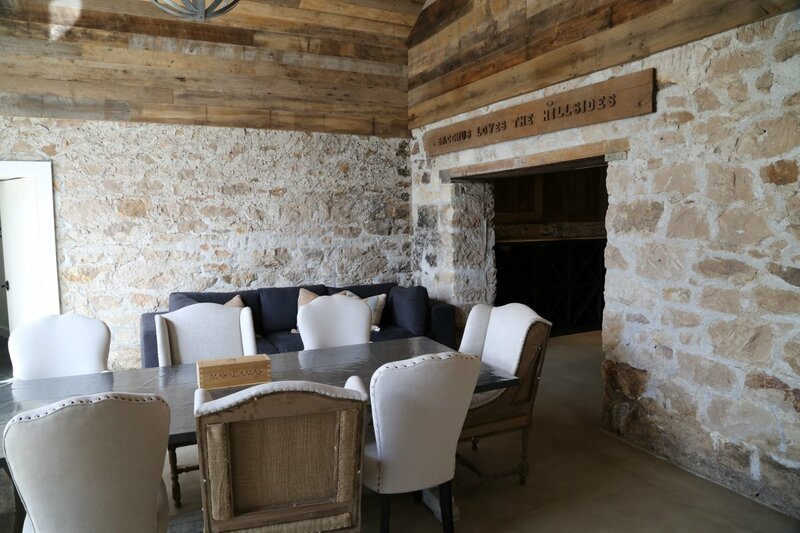 This location is certainly more convenient for guests to taste their wines – as opposed to making the long trek up Mt. Veeder on narrow and windy roads. 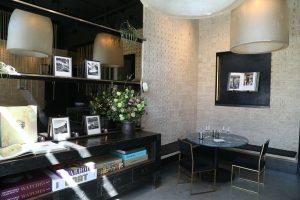 Reservations are generally recommended for this tasting room, especially during busy summer weekends. 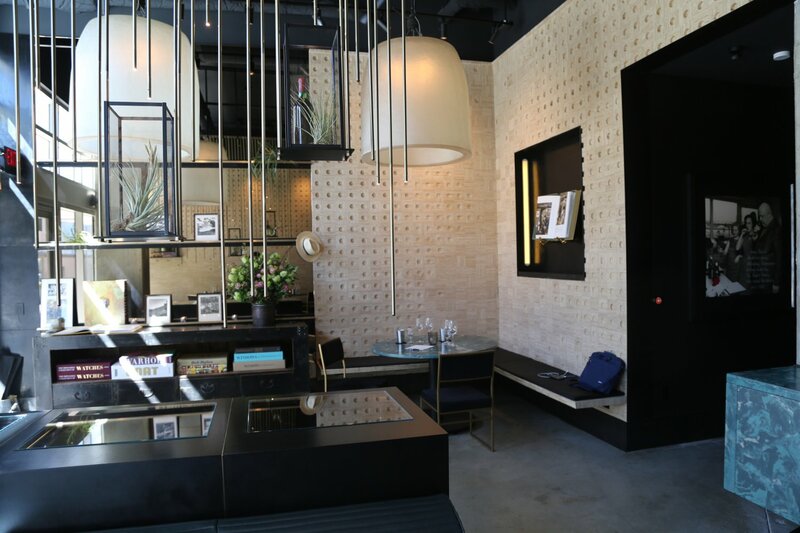 If it is not busy, walk-ins are welcome. 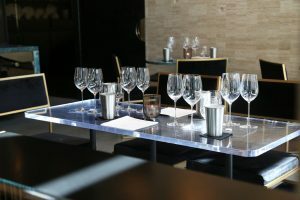 Tastings are generally three current release wines – with an option to add on two library wines (often 12-15 years old). And guests may also choose to pair their wines with small bites. Charli – sorry for the late reply. Despite racing around the valley continuously, things move quite slowly here at the Napa Wine Project when one is trying to visit, taste and write about every single winery and producer in this special slice of the state. I believe the winery can ship to Ohio, at least with a 3rd party shipper. When your in town next, hopefully the tasting room will be open in downtown Napa.